I invite the young people of the Church to learn about and experience the Spirit of Elijah. As we study, learn, and live the gospel of Jesus Christ, sequence often is instructive. 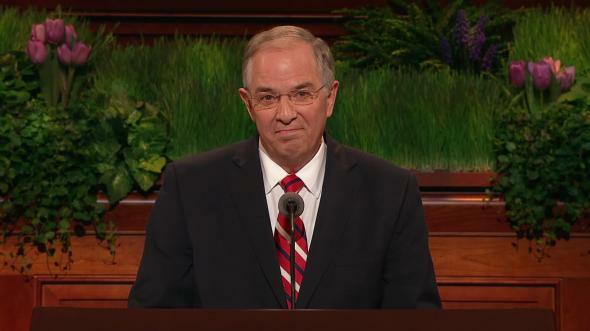 Consider, for example, the lessons we learn about spiritual priorities from the order of the major events that occurred as the fulness of the Savior’s gospel was restored in these latter days. In the Sacred Grove, Joseph Smith saw and talked with the Eternal Father and Jesus Christ. Among other things, Joseph learned about the true nature of the Godhead and of continuing revelation. This majestic vision ushered in “the dispensation of the fulness of times” (Ephesians 1:10) and is one of the signal events in the history of the world. “Behold, I will reveal unto you the Priesthood, by the hand of Elijah the prophet, before the coming of the great and dreadful day of the Lord. “… And he shall plant in the hearts of the children the promises made to the fathers, and the hearts of the children shall turn to their fathers. If it were not so, the whole earth would be utterly wasted at his coming” (verses 38, 39). 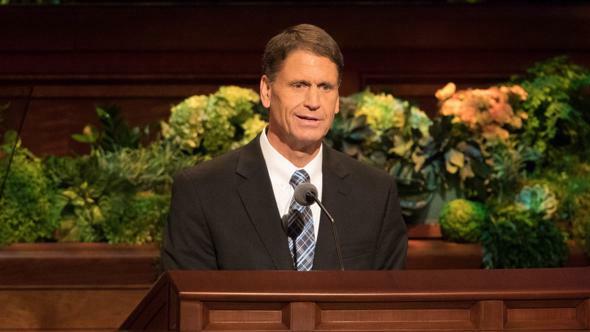 Moroni’s instructions to the young prophet ultimately included two primary themes: (1) the Book of Mormon and (2) the words of Malachi foretelling the role of Elijah in the Restoration “of all things, which God hath spoken by the mouth of all his holy prophets since the world began” (Acts 3:21). 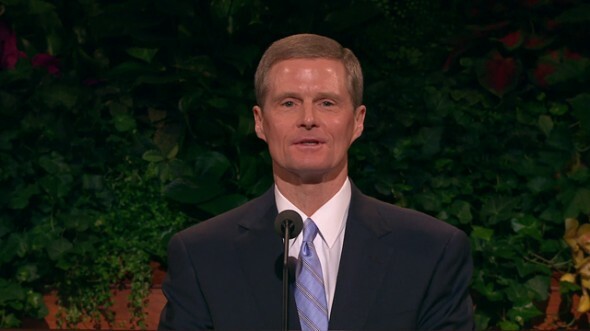 Thus, the introductory events of the Restoration revealed a correct understanding of the Godhead, emphasized the importance of the Book of Mormon, and anticipated the work of salvation and exaltation for both the living and the dead. This inspiring sequence is instructive about the spiritual matters of highest priority to Deity. 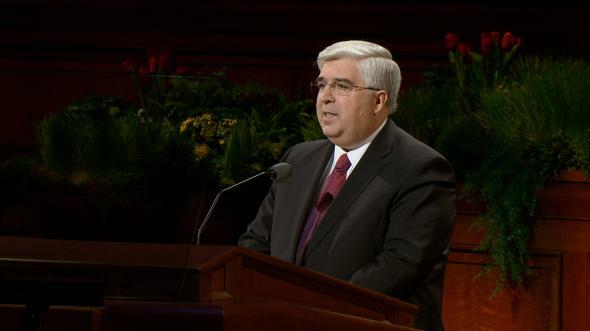 My message focuses upon the ministry and Spirit of Elijah foretold by Moroni in his initial instructions to Joseph Smith. I earnestly pray for the assistance of the Holy Ghost. 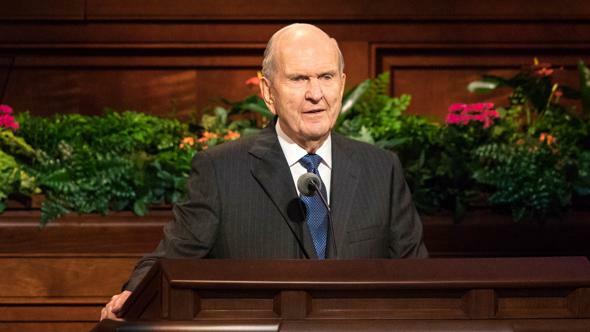 “We learn from latter-day revelation that Elijah held the sealing power of the Melchizedek Priesthood and was the last prophet to do so before the time of Jesus Christ” (Bible Dictionary, “Elijah”). The Prophet Joseph Smith explained, “The spirit, power, and calling of Elijah is, that ye have power to hold the key of the … fullness of the Melchizedek Priesthood … ; and to … obtain … all the ordinances belonging to the kingdom of God” (Teachings of Presidents of the Church: Joseph Smith , 311; emphasis added). This sacred sealing authority is essential for priesthood ordinances to be valid and binding both on earth and in heaven. The restoration of the sealing authority by Elijah in 1836 was necessary to prepare the world for the Savior’s Second Coming and initiated a greatly increased and worldwide interest in family history research. 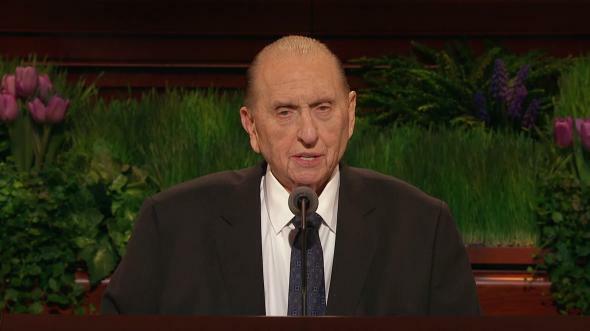 The Prophet Joseph Smith declared: “The greatest responsibility in this world that God has laid upon us is to seek after our dead. 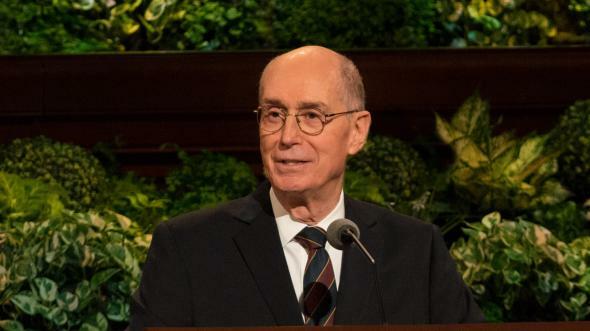 … For it is necessary that the sealing power should be in our hands to seal our children and our dead for the fulness of the dispensation of times—a dispensation to meet the promises made by Jesus Christ before the foundation of the world for the salvation of man. … Hence, God said, ‘I will send you Elijah the prophet’” (Teachings: Joseph Smith, 475). “But what is the object of [the coming of Elijah]? or how is it to be fulfilled? The keys are to be delivered, the spirit of Elijah is to come, the Gospel to be established, the Saints of God gathered, Zion built up, and the Saints to come up as saviors on Mount Zion [see Obadiah 1:21]. “But how are they to become saviors on Mount Zion? 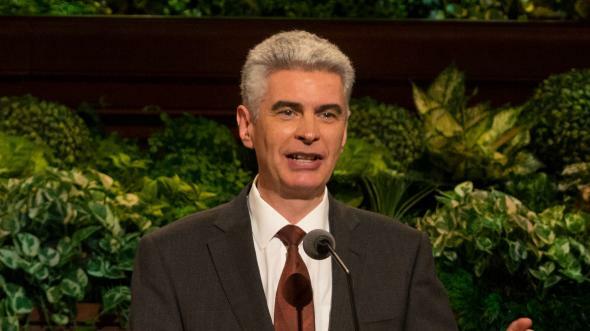 By building their temples … and going forth and receiving all the ordinances … in behalf of all their progenitors who are dead … ; and herein is the chain that binds the hearts of the fathers to the children, and the children to the fathers, which fulfills the mission of Elijah” (Teachings: Joseph Smith, 472–73). 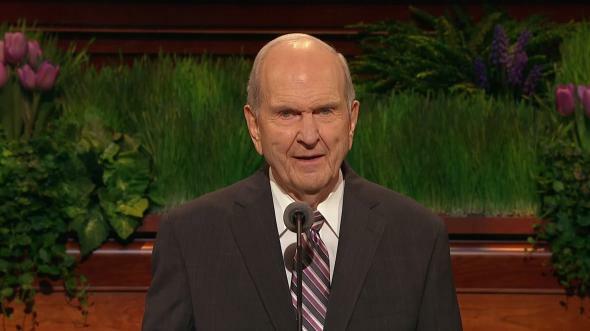 Elder Russell M. Nelson has taught that the Spirit of Elijah is “a manifestation of the Holy Ghost bearing witness of the divine nature of the family” (“A New Harvest Time,” Ensign, May 1998, 34). 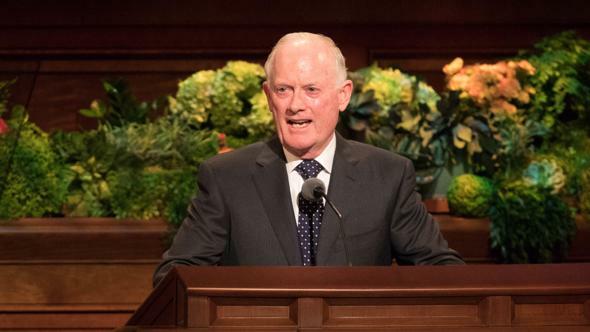 This distinctive influence of the Holy Ghost draws people to identify, document, and cherish their ancestors and family members—both past and present. For these reasons we do family history research, build temples, and perform vicarious ordinances. For these reasons Elijah was sent to restore the sealing authority that binds on earth and in heaven. 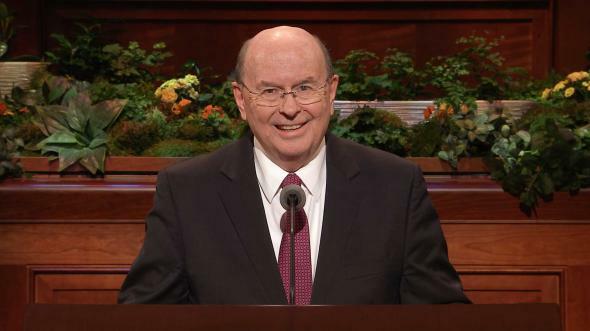 We are the Lord’s agents in the work of salvation and exaltation that will prevent “the whole earth [from being] smitten with a curse” (D&C 110:15) when He returns again. This is our duty and great blessing. I now invite the attention of the young women, young men, and children of the rising generation as I emphasize the importance of the Spirit of Elijah in your lives today. My message is intended for the entire Church in general—but for you in particular. Many of you may think family history work is to be performed primarily by older people. But I know of no age limit described in the scriptures or guidelines announced by Church leaders restricting this important service to mature adults. You are sons and daughters of God, children of the covenant, and builders of the kingdom. You need not wait until you reach an arbitrary age to fulfill your responsibility to assist in the work of salvation for the human family. The Lord has made available in our day remarkable resources that enable you to learn about and love this work that is sparked by the Spirit of Elijah. For example, FamilySearch is a collection of records, resources, and services easily accessible with personal computers and a variety of handheld devices, designed to help people discover and document their family history. These resources also are available in the family history centers located in many of our Church buildings throughout the world. 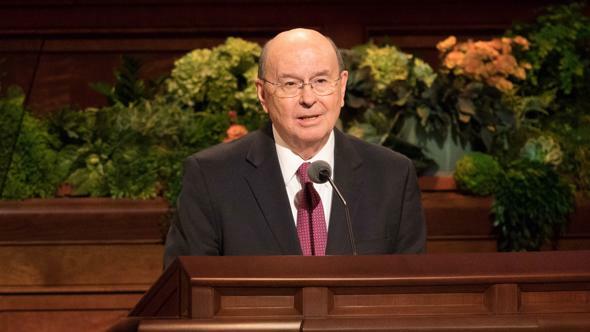 It is no coincidence that FamilySearch and other tools have come forth at a time when young people are so familiar with a wide range of information and communication technologies. Your fingers have been trained to text and tweet to accelerate and advance the work of the Lord—not just to communicate quickly with your friends. The skills and aptitude evident among many young people today are a preparation to contribute to the work of salvation. I invite the young people of the Church to learn about and experience the Spirit of Elijah. 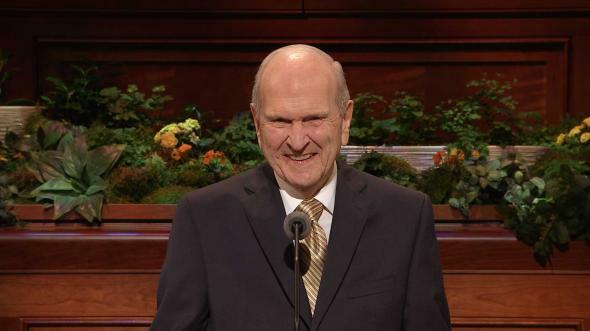 I encourage you to study, to search out your ancestors, and to prepare yourselves to perform proxy baptisms in the house of the Lord for your kindred dead (see D&C 124:28–36). And I urge you to help other people identify their family histories. As you respond in faith to this invitation, your hearts shall turn to the fathers. The promises made to Abraham, Isaac, and Jacob will be implanted in your hearts. Your patriarchal blessing, with its declaration of lineage, will link you to these fathers and be more meaningful to you. Your love and gratitude for your ancestors will increase. 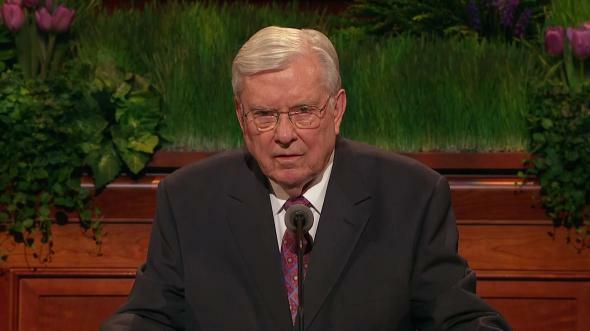 Your testimony of and conversion to the Savior will become deep and abiding. And I promise you will be protected against the intensifying influence of the adversary. As you participate in and love this holy work, you will be safeguarded in your youth and throughout your lives. Parents and leaders, please help your children and youth to learn about and experience the Spirit of Elijah. But do not overly program this endeavor or provide too much detailed information or training. Invite young people to explore, to experiment, and to learn for themselves (see Joseph Smith—History 1:20). Any young person can do what I am suggesting, using the modules available at lds.org/familyhistoryyouth. 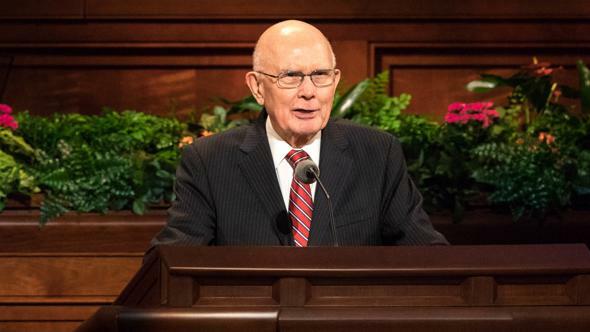 Aaronic Priesthood quorum and Young Women class presidencies can play an important role in helping all youth become acquainted with these basic resources. Young people increasingly need to be learners who act and thereby receive additional light and knowledge by the power of the Holy Ghost—and not merely passive students who primarily are acted upon (see 2 Nephi 2:26). Parents and leaders, you will stand all amazed at how rapidly your children and the youth of the Church become highly skilled with these tools. In fact, you will learn valuable lessons from these young people about effectively using these resources. The youth can offer much to older individuals who are uncomfortable with or intimidated by technology or are unfamiliar with FamilySearch. You also will count your many blessings as young people devote more time to family history work and temple service and less time to video games, surfing the Internet, and Facebooking. Troy Jackson, Jaren Hope, and Andrew Allan are bearers of the Aaronic Priesthood who were called by an inspired bishop to team teach a family history class in their ward. These young men are representative of so many of you in their eagerness to learn and desire to serve. 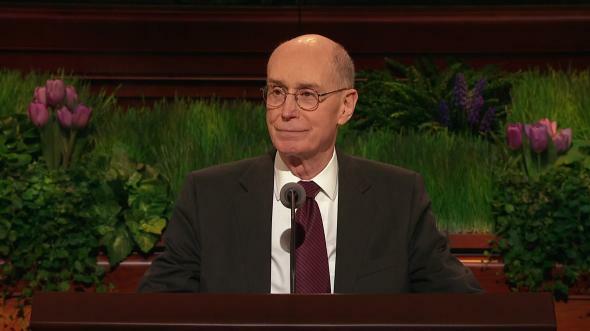 My beloved young brothers and sisters, family history is not simply an interesting program or activity sponsored by the Church; rather, it is a vital part of the work of salvation and exaltation. You have been prepared for this day and to build up the kingdom of God. You are here upon the earth now to assist in this glorious work. I testify Elijah returned to the earth and restored the sacred sealing authority. I witness that what is bound on earth can be bound in heaven. And I know the youth of the rising generation have a key role to play in this great endeavor. I so testify in the sacred name of the Lord Jesus Christ, amen.